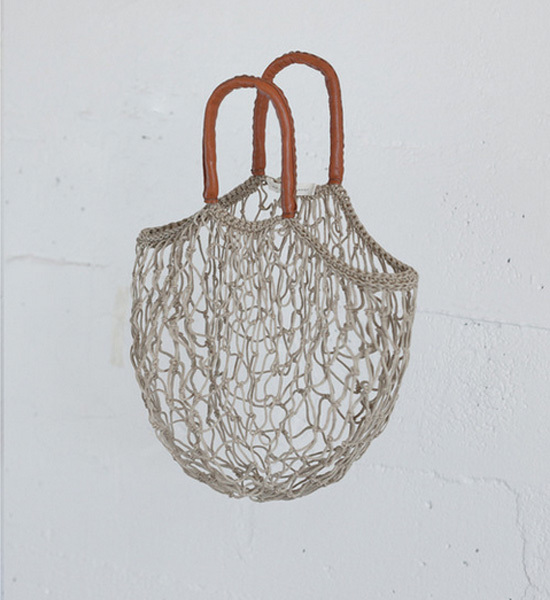 Love these netted bags with leather straps from LA-based company And so it goes. As you know I'm all about getting rid of plastic bags altogether, remembering a tote when we go to the shops. Opt for these green bags instead. These little numbers can be scrunched up tight, stuffed in your pocket, stored in the glove box and remembered, basically. The bags are a creative collaboration between designers Georgia Tribuiani and Clarice Chin, two friends who sought to create a platform where they are able to explore freely, under no restrictions. The partnership was founded on the principles of promoting local artisanship and pursuing environmentally sustainable practices. They are inspired by art, culture and tradition. 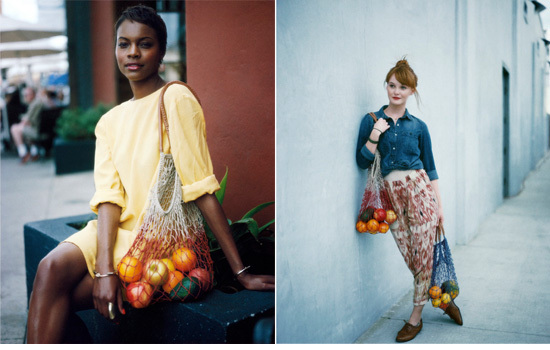 The designers say the net bags are constructed using traditional net making techniques in a bid to offer an alternative to wasteful packaging and contribute to the elimination of plastic bags.